What’s the difference between a buffalo and a bison? Do they only come in one color, and are there any wild buffalo left in North America? 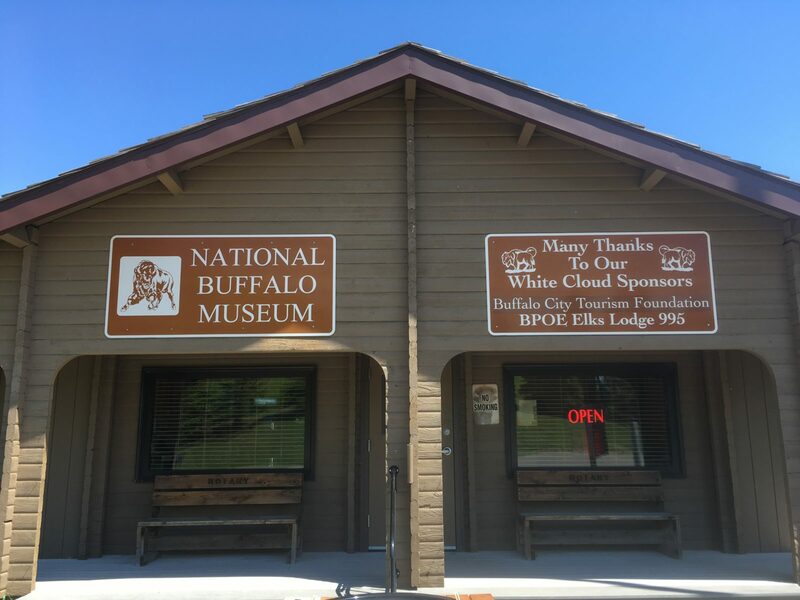 Everything you’ve ever wanted to know but were too afraid to ask can be discovered at the National Buffalo Museum in Jamestown, North Dakota! Located in Jamestown’s Frontier Village along with the “World’s Largest Buffalo” (click the yellow words to see those stories), the museum offers an expansive gift shop, plenty to see and explore related to America’s National Mammal, and even views of a field in which a live herd of buffalo graze in reflection of days long before the prairie was developed into the cities and farmlands of today! Travel Tip: Admission to the buffalo museum is $8 for adults, but a discount is offered for active military members and seniors. 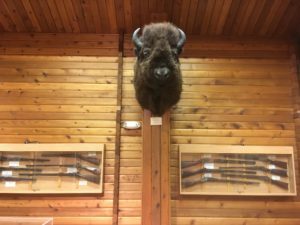 The gift shop is pretty expensive, but features unique gifts and even bison food items (jerky, etc. ), so I’d recommend giving it a peek! When you enter the museum, the gift shop and admission desk will be on the right, along with clean restrooms and a water fountain. On the left will be the entrance to the exhibit halls. 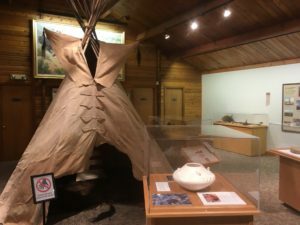 The whole lay-out, and even a few new exhibits, are the result of recent renovations which have drastically improved the whole experience, so if you’ve seen the place before, I’d recommend returning to see the updates! 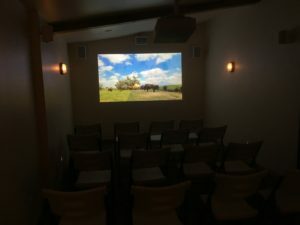 Just inside the museum a small theater provides a short film detailing the buffalo and their significance to the native populations of the prairie region over the centuries. Everything evolves and changes over time, and the American Bison is no exception. 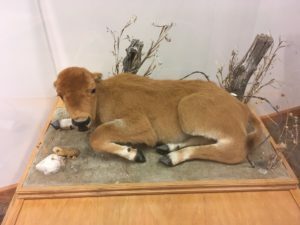 Exhibits detail the variations of buffalo and how they have changed over time. You have to see some of the massive skulls in person to really appreciate their awesome size! Perhaps my favorite part of the museum is the observation deck. 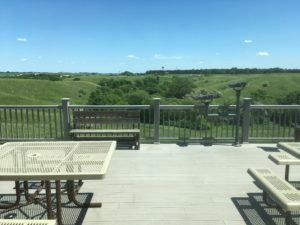 From here one can view the live herd of bison (numbering about 25-30) as they graze a 200-acre reserve of prairie in much the same fashion as their ancestors did for millennia. 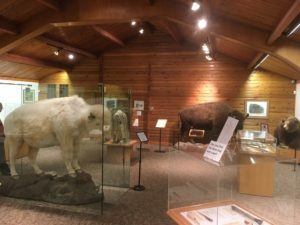 The main display area offers many exhibits on prairie fauna, Indian life, and, most impressively, taxidermied remains of buffalo from the region, including the recently deceased White Cloud, an albino buffalo and local celebrity. 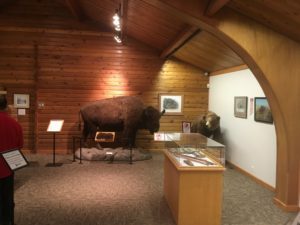 Whether you’re a solo traveler like myself or are exploring the prairie with friends and family, the National Buffalo Museum should certainly be on your list of things to see in North Dakota! If you go, take I-94 from Fargo or Bismarck and take the Jamestown exit 258. The museum is open daily from 8am-8pm from Memorial Day to Labor Day, and Monday-Saturday from 10am-5pm from Labor Day to Memorial Day. 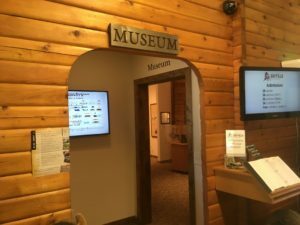 Be sure to tell them you read about the museum on Prairie, Party of One! Have you ever seen a live buffalo? Did you know you can order bison meat in many restaurants? How do you feel about the recent designation of the American Bison as our National Mammal? Share your thoughts by commenting below! Hi, Miriam! Senator John Hoeven (R-ND) pushed for the bison to be declared the national mammal some years ago. 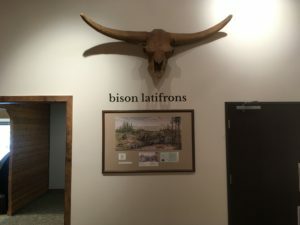 In April of 2016 his bill passed the Senate and House, and the President signed the National Bison Legacy Act into law in May of 2016, thus making the designation. I don’t imagine this meant much to most folks, but I think it was an important recognition of one of North America’s defining creatures. Thanks for reading! in the 1800s. I’m just glad they weren’t and we still have such magnificent creatures! I agree, Johnathan! When you can see them up-close, you realize what awesome beasts these are. The thought of millions of them roaming the prairie is just breath-taking! Is there a difference between Buffalo and Bison? 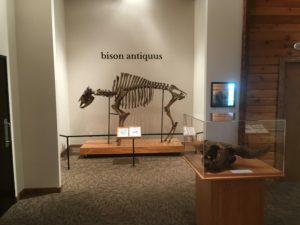 Thanks for the great pictures and news of the updates to the Jamestown Buffalo museum!